The report introduces an architectural framework for the topic - “how to trigger the workflow using java script in Microsoft Dynamics CRM”. We have completed this research during one of our projects and we strongly believe that our practical solution will be helpful for the programmers dealing with Microsoft Dynamics CRM development world. We believe in sharing quality information with potential profiles already working on Microsoft Dynamic CRM platform. 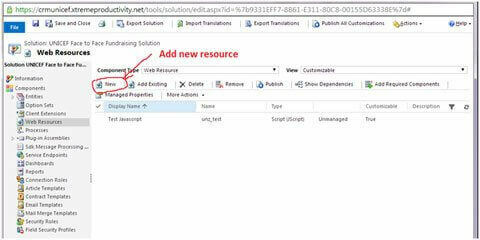 Undoubtedly, real time workflows are a powerful functionality in Microsoft Dynamics CRM 2013. As a programmer, you can now choose to work between workflows or plug-ins for plenty of synchronous operations. 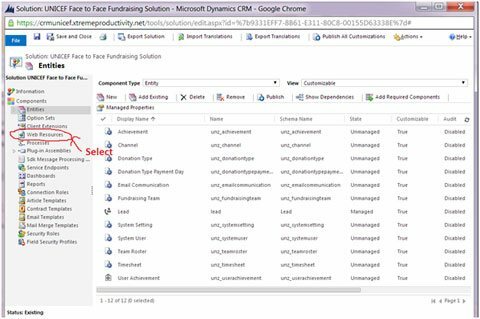 We have compiled an easy solution for better understanding about the workflows in Microsoft dynamics CRM 2013. We are introducing how to Trigger the workflow using Java script in Microsoft Dynamics CRM. To implement java script to trigger workflow do the following steps. 1. Click here to Download JQuery. 2. Create one Java Script web resource and upload this downloaded J Query. Select Solutions menu from Settings. Open a solution in which you want to trigger a workflow from Solutions. Select Web Resources from Solution. - Add new Resource in Web Resources. Display name : Write Display name of resource in web Resource List. Description : Write Description of resource. Type : Select type Script (Jscript) from list. Text Editor : Don not Click on it. Language : Select Language of resources. Upload File : Upload JScript file which is downloaded from this. 3. Create one more JScript web resource for the below code and register to the CRM form where you want to run this script. -	Add new Resource in Web Resources. Display name :Write Display name of resource in web Resource List. Upload File : Do not upload any file. Text Editor : Add below Code and Click Ok.